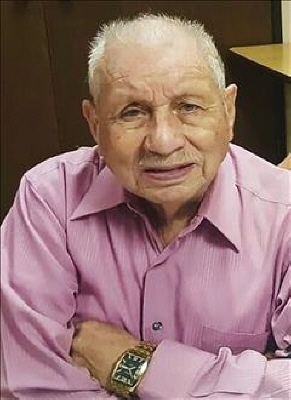 Antonio Rodriguez 84, went home to be with the Lord Tuesday, November 20, 2018. Antonio was born March 20, 1934 and received his U.S. citizenship, December 4th, 1998. Survivors include his longtime spouse of 56 years Maria Alicia Rodriguez; His 7 children, Blanca Estela Hayslip, Martha Alicia Rodriguez, Tony Rodriguez, Ana Maria Fraire, Enedelia (Natalie) Rich, Javier Angel Rodriguez and Guadalupe Rodriguez; 20 grandchildren and 5 great-grandchildren. His favorite verse was John 14:6 I am the way and the truth and the life. No one comes to the Father except through me. Since he giving his life to the Lord, he lived to serve Him and through his testimony many lives came to know Jesus. He served the church as an usher, door greeter, visiting families, gave rides to people in need and he was a life group leader for many years and helped with the church facility's upkeep. We see you soon Dearest Father, we are holding many beautiful memories in our heart. See you soon Dad. The family will receive friends at a visitation from 6:00-8:00 p.m. Friday, November 23, 2018 at Abilene Funeral Home "Chapel of Hope" 3349 N. 12th Street, Services will be Saturday, November 24, 2018 at 2:00 p.m. at Life Church, 2465 Old Anson Road burial to follow at Elmwood Memorial Park " Garden Of Memories". To send flowers or a remembrance gift to the family of Antonio Rodriguez, please visit our Tribute Store. "Email Address" would like to share the life celebration of Antonio Rodriguez. Click on the "link" to go to share a favorite memory or leave a condolence message for the family.